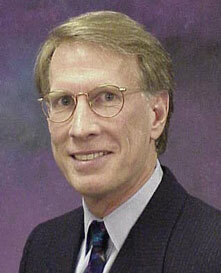 Dr. R. Allen Saville is the founder of Saville Consulting Service. Dr. Saville has over twenty-five years of business experience and has provided assistance to a wide range of clients from large worldwide companies to small businesses. Dr. Saville has a unique educational background. He holds a law degree plus a masters and doctoral degree in strategic planning and management systems from top universities. This education and his extensive consulting experience contribute to his understanding of, and ability to deal with, management systems in a holistic and integrated manner. More than twenty-five years of consulting and management experience assisting companies, teams and individuals to meet new challenges and achieve exceptional results through: performance improvement, strategic planning, executive coaching, organizational design & development, change management, enterprise transformation, merger integration, and management and leadership development. Adept at working well and producing results in unstructured environments and/or pressure situations. Doctorate: (Planning and Management systems), Virginia Polytechnic Institute and State University. Emphasis on comprehensive management systems concepts and the techniques of systemic functional analysis, and organizational design and development. Masters: (Urban and Regional Planning), Virginia Polytechnic Institute and State University. Juris Doctorate: University of Virginia School of Law. Bachelor of Arts: (Political Science), University of Richmond. Multiple engagements to provide comprehensive assistance to national and international companies in all aspects of the integration and organizational change involved in mergers and major acquisitions in the following industries: high tech & semiconductor, health care, hospitality, finance, insurance, manufacturing, and professional services. Enterprise transformation projects to guide the efforts of companies in making major changes to realize more of the full potential of the company; to become more competitive and responsive to the needs of clients and potential clients, and to accomplish strategic business goals. Including: facilitated process to enable executive teams to identify issues and critical success factors, articulate a new vision and direction for the company and formulate strategies for growth and change. Performance improvement and organizational effectiveness: assess current competitive environment; formulate viable strategies for performance improvement, organizational effectiveness and enterprise transformation; assess change readiness; formulate corrective measures and action plans addressing operational procedures, management information and decision support systems; design and populate appropriate organizational structures, and cultivate commitment within the work force to achieve aggressive new strategic goals in industries including, health care, professional services, manufacturing, and oil & gas. Culture change to effect an intense customer service orientation within a major federal governmental agency. Design of a global system of learning & development (functions, structure, implementation, etc.) for one of the worlds largest professional service firms. Coaching, mentoring and providing instruction in order to identify and improve individual and team competencies needed for job responsibilities and assigned challenges. Design and processes consulting for executive teams to assess current competitive environment, formulate viable strategies for enterprise transformation and performance improvement, design and populate appropriate organizational structures, and cultivate commitment within the work force to achieve aggressive new strategic goals. Organizational change: strategies, formulate implementation plans that prepare individuals for transition and change; compose plans for aligning roles and responsibilities with the functional tasks required for effective and efficient operation; and innovative communication initiatives to facilitate change and obtain feedback. Address organizational competencies and organizational culture to increase service quality, client relationship management, and operational effectiveness of professional service firms including public accounting and law firms. Strategic planning, organizational development, and change management consulting to the CEO of one of the nations top 40 law firms to formulate a 10 year strategic agenda. Process consulting, facilitation and coaching with top leaders of health care systems in issue definition, strategic planning, and cultivating new attributes in the leadership culture useful in dealing with rapid change. Design of comprehensive professional and executive development programs to support the achievement of strategies and goals of professional service firms including public accounting and law firms. Also design, development and delivery of specific learning and development programs including: personal effectiveness, mentoring, group and team leadership, facilitation, leadership, business management, career transition, assessment, personal development planning, succession planning, presentation skills, and more. Improving management and operational effectiveness of large integrated agribusiness companies by reorienting management information and decision support systems. Executive team facilitation: identifying shared vision and addressing issues of trust, managerial competence, commitment, working relationships, team building, and organizational structure and effectiveness. Resolving complex natural resource allocation issues through effective management of multi-disciplinary consulting teams to formulate plans and implementation strategies that were sensitive to competing public and private interests. Design and implementation of corporate communication program, worldwide management meetings, international "road show" for senior executives to communicate to the entire company in connection with multiple year strategy for an enterprise transformation for an international manufacturing company. Team and individual coaching and meeting facilitation to create a positive working environment for members representing several different companies working together on a complex, fast-track biotech construction project. Project management, interpersonal and meeting management skills received special emphasis. Redesign of a major product line of leadership and management workshops and materials for an international provider of training programs. Leveraging the Executive Team for Change Initiatives: a two-article series written for Partner Advantage Advisory, March-April 2004 Issues; published by Hudson Sawyer Professional Services Marketing, Inc.; Atlanta, GA.
School of Business Administration, University of Colorado: Designed and taught a course on management consulting designed to be a "capstone" program for second year MBA students. University of Richmond: Designed and taught undergraduate course in political science curriculum. Virginia Polytechnic Institute and State University: Full responsibility for one undergraduate course and co-instructor for a masters level course in the planning curriculum.